This lame, sporadically funny sequel does not start well. The opening sequence is so bad, so terribly leaden that only diehard fans who contributed to the record Broken Lizard crowdfunding campaign might keep watching. But the good news is that it gets better. 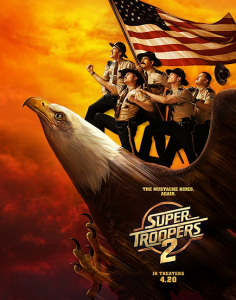 As a collection of skits, “Super Troopers 2” works in fits and starts. But as a coherent feature motion picture it is lazy, poorly plotted, and amateurish. The laughs are there, but you have to endure a lot of foolishness to get to them. Years after the first movie (released in 2002), the troopers are back. 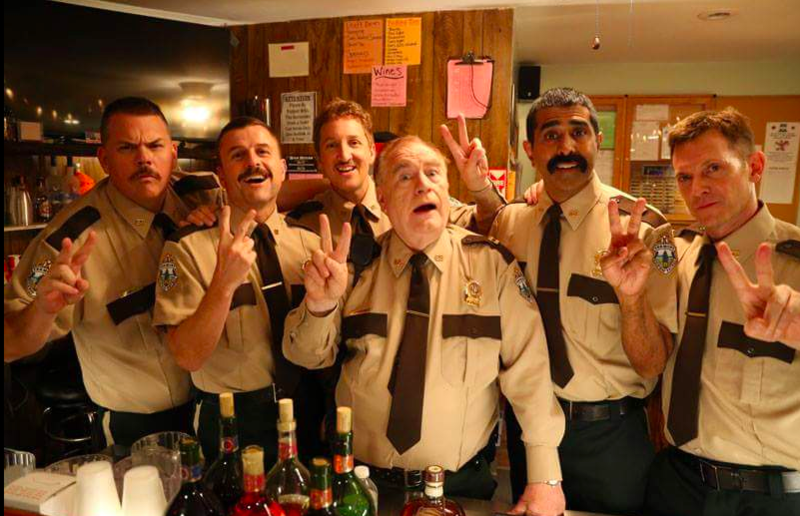 They are Thorny (Jay Chandrasekhar, who also directs), Farva (Kevin Heffernan), Mac (Steve Lemme), Foster (Paul Soter), and Rabbit (Erik Stolhanske). And in 2018, the gang of misfit officers have fallen on hard times, following an unfortunate incident involving actor Fred Savage that resulted in their dismissal from the patrolling. But when it’s discovered that part of Canada is really inside the state of Vermont, the troopers are called back into service by Governor Jessman (original Wonder Woman herself Lynda Carter). Even Captain O’Hagan (Brian Cox) is called out of retirement. 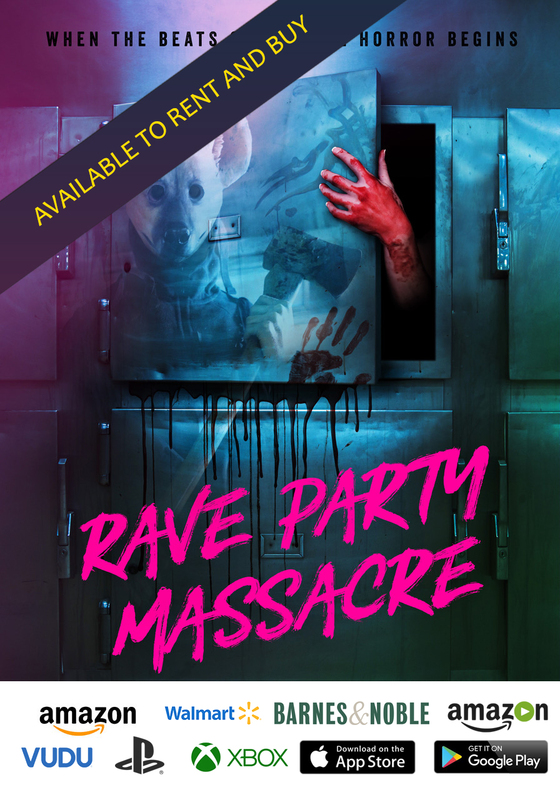 This leads them to set up a trooper station in a small town north of the old border, where they come into conflict with some Royal Canadian Mounted Police. The townsfolk aren’t too happy to see the Americans. But the town’s mayor, a former hockey great named Guy LeFranc (Rob Lowe, who really goes for it) embraces them. And when the troopers discover some contraband randomly stored in their newly acquired jurisdiction, they’ve got a case to solve. Could their efforts become an international incident? Not likely, it’s just Canada, right? The Broken Lizard comedy troupe are talented and can ring raunchy laughs out of almost any otherwise normal situation. And their trooper characters are ordinary dudes that poke fun at one another and never seem to get too bothered by really dangerous and exploitive practical jokes. They are so good natured about everything that it endears them to the viewer. But as a collection of comedy players coming together to deliver feature film entertainment, the Lizards haven’t found their Monty Python groove. Still searching for their “Holy Grail,” this spotty entry contains few skits comparable to any of the clever comedy sketches of even Python’s “The Meaning of Life.” The laughs in “Super Troopers 2” are heavily labored and low brow. Still, I laughed. And those laughs were enough.